Even though the big SOE-to-Daybreak transformation happened three months ago, the entire ordeal still feels fresh to many fans. An air of uncertainty permeates speculation about the studio’s future, and questions still swirl around regarding the fate of both the older games and those in development. Change is never particularly easy, even when it’s good, so to help put players’ minds at ease, President John Smedley was joined by Laura Naviaux, Senior Vice President of Global Sales & Marketing, to chat about the changes at a press conference call earlier this week, touching on the new logo, the Columbus Nova partnership, early access, and EverQuest Next vaporware worries. Read on for the run-down. Each component of the logo has specific symbolism as well. The color red was chosen to reflect power, the owl eye (sorry, it’s not an owlbear eye as some of us had hoped!) refers to the nocturnal nature of gamers, and the gear embedded within the eye represents technology. Although many fans felt the break from Sony was abrupt, Smedley told the press that his studio had been looking for a new home for the last few years.”Sony was looking to get down to its core,” he explained, “and the PC games were never something they were super big on. 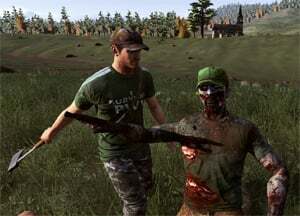 That was always us.” Worried PC players can breathe easier as Daybreak plans to stay that way. As Smedley put it, “We’re not changing who we are; our core will still be PC gaming. The console stuff we’re adding on top of that because we want more people to be able to play the games we make.” Expanding in the console market is important, he says, as it’s already proven successful at bringing in new players. In DC Universe Online, more than 40% of the new registered players are on the PlayStation 4, and console players account for almost 76% of total hours played there. Revenue-wise, it doesn’t hurt that console players purchase items at a rate of 3.6 times higher that of PC players. So why Columbus Nova? The fact that it’s an investment firm made many a fan wary that the acquisition heralded the beginning of the end. Smed argued that in reality, it is just a new beginning with a company that gets what Daybreak is about. Since there was no deadline rushing the process to procure the perfect partner, the company could take its time to find one that would be invested for the long haul. And take time it did: Smedley joked that they kissed plenty of frogs before finding the prince. Columbus Nova is, in Smedley’s words, a perfect fit. Just as players are feeling uncertainty, so, too, were the devs. Smedley admitted that they didn’t really know what life would be like after Sony. That makes sense; after all, breaking up is hard to do, and this couple had been together for 16 years. Yet the team needed to move on. So after three months, what’s it like working with the investment firm? “I can say it’s a lot more fun,” said Smedley, while Naviaux added that the partnership created the vigor and feel of doing a startup without any of the negatives. Within the next month or so players will be able to become a part of the system that gives special monthly bonuses in all SOE games, 500 station cash, and a 10% discount on all items in the store. Dragon’s Prophet players will receive a nine in-game items every month worth $50, including a 30-day repair hammer, teleportation, revive tokens, and more. Even though early access is about helping test the game and guide development, Smedley emphasized that it still has to be fun to play. Numbers seems to support the fact that players find H1Z1 fun as it continues to be one of the top-selling games on Steam. Even those not playing are getting in on the fun: To date more than 1.7 billion minutes of the game have been watched on Twitch, and it was the fifth and sixth most-streamed game in January and February, respectively. syberghost mvpeets agemyth Hm, I see your point. Bad example, though, by the way… In SC ships will be the lifeblood of the game, and a central part of the play experience both in FPS and space combat. Mounts in NW (And even STO ships) aren’t the same in that respect, and certainly don’t take nearly as much work to make. A mount, for instance, is basically just a model, a texture, and a set of animations at this point, seeing as all the other framework is in already. If Neverwinter charges $30 for a mount, people scream “OMG RIPOFF” but if SC charges $450 for a ship you can’t even use yet, the same people are “well don’t buy it if you’re POOR”. And some have been four times that much, or more. agemyth Yes, exactly. Same case as Star Citizen. Just because they are developing the engine and world and not releasing updates to the playable client (because what they’re working on isn’t something episodic you can just patch into the client, lol) everyone assumes vaporware. It seems that companies will have to go back to the old model of not announcing things until they are basically done. We deliver… In a very very very very very very verrrrrrry long time. After we have removed 60% of the features we promised but only before we got your early access money. Good job Smedley. I would be more upset about Dragon’s Prophet not being part of All Access but fortunately when I tried the game out I quite disliked it so no angst over that. I’ve been having fun with last week’s big changes to Landmark, and with the “no more character wipes” promise I might actually start looking at trying to squeeze a few drops of creativity out of my barren wastelands of a brain. And, EQN? I’ll let their actions (or lack thereof) speak for themselves. I love the ideas/concepts behind it, so if they actually come through I’ll be thrilled. In the meantime I’ll be playing ESO and DA:I and PoE and any number of other games that are delighting me at the moment. So in other words we’re never going to see EQN. I figured as much, but it’s still really disappointing. It was the first MMO I looked forward to in ages. paragonlostinspace Yeah, but this conversation is quite old given SOE’s and especially Smed’s handling of past titles. I’ve witnessed many posts like this in the past 10-15 years following SOE titles, and I’m yet to be proven completely off the mark when I employ skepticism when it comes to Smed.. I don’t know that MJ was the one that “featured” the comment, but I imagine it can be baffling when people don’t seem to read and understand her reporting on and responses to Daybreak related issues like this. She dedicated a whole Tattered Notebook or EverQuesting article to explaining the difference between Landmark and EQN and what all that means. She would probably rather be playing these games than listening in on a boring PR conference and turning it into 1000+ words when there wasn’t even any real news to speak of.